A traditional craft frame with added class. With its bold lines and sophisticated layers, Contempo Unfinished needs only a splash of color to enhance any piece and its surroundings. 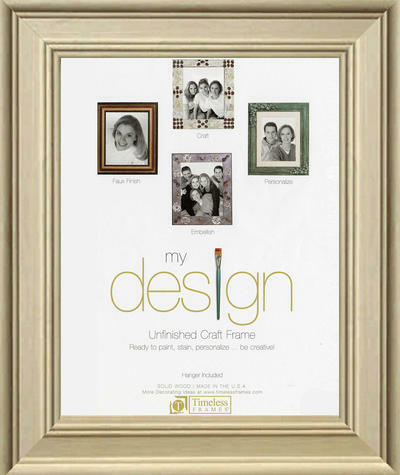 Left bare, this frame brings unique attention to your photograph or artwork and displays unvarnished respect for distinctive craftsmanship. This frame is made of Solid Wood.